Mar. 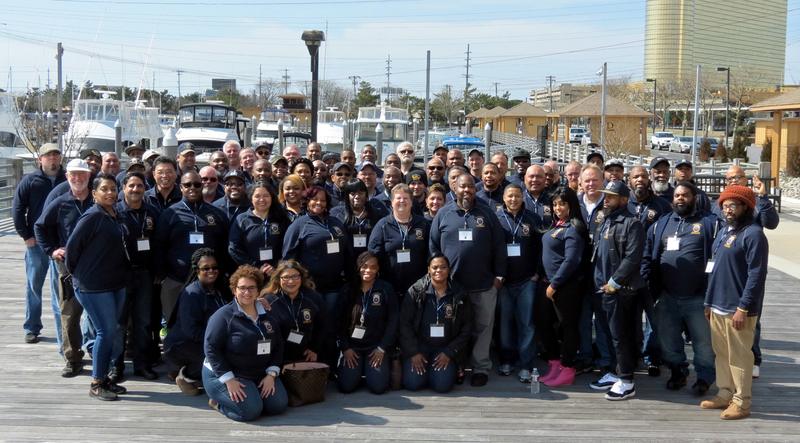 18, 2019 | (Click image to enlarge) More than 60 shop stewards improved their representational skills and Teamster knowledge at last week's “Building a Strong Union” training seminar, an educational program sponsored by Local 570 and conducted by staff members from the Training and Development Department of the International Brotherhood of Teamsters. "Our seminars present great learning opportunities for our front line leaders. And the time spent networking with other Local stewards helps them better understand the issues facing them in their own shops," said Principal Officer Sean Cedenio. Additional photos will be posted soon, with more coverage appearing in our next newsletter, The 570 Express. Mar. 26, 2019 | The James R. Hoffa Memorial Scholarship Fund awards scholarships annually to outstanding high school seniors. Scholarship winners are awarded either a $10,000.00 award split up over four years at $1,250.00 per semester, or a one-time $1,000.00 award. Winners of the $10,000.00 award will have their scholarship renewed each year, pursuant to the Scholarship Renewal guidelines, and must maintain a GPA of 3.0 (B average) or higher. Training and vocational scholarships are also available. To access the JRHMSF application process, click here.